Train your dog before your go RVing. 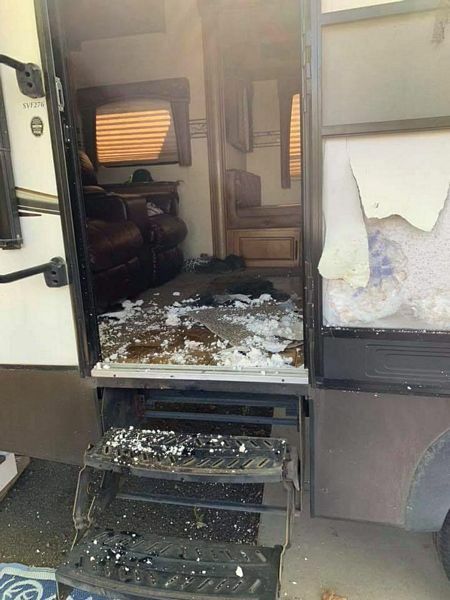 I've seen folks that threw that dog in an RV, drove hundreds of miles to park in a new strange place, then took off leaving the hapless dog alone in a new place in an unfamiliar RV. This can cause unintended problems. I built a doggy door while you were gone! And since you left all the shades closed on "your" windows, I added my own doggy window! The company had previously set a threshold of $25 for orders to qualify for free shipping, but Amazon will waive that requirement according to the company. Hundreds of millions of items will therefore become eligible for free shipping. SHOP AMAZON with this link, we sometimes earn a commission and that is a huge help to this doggy and his RV and human! 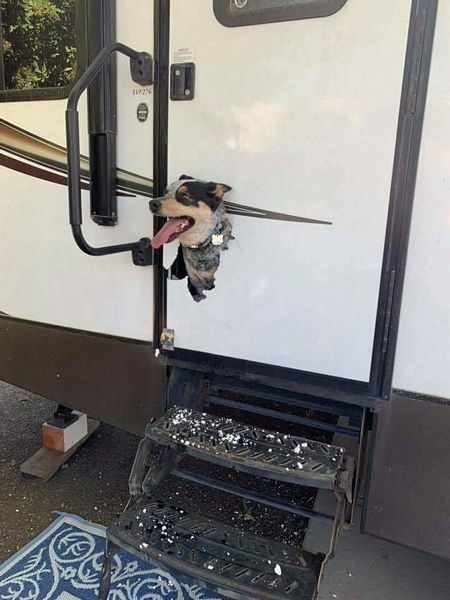 I have a friend who had a dog with terrible anxiety issues and ripped up the door just like that. Bless your heart for thinking of me. Dear Miss Mermaid has been blogging since 1994... before blogging was even a word. As the most popular correspondent in the Caribbean, she posted from sailboats and tiny islands for over 15 of her 23 years in the Caribbean. After a life changing calamity, she relocated in 2009 to a little old motorhome in the USA to recuperate, wander, and write. Copyright Dear Miss Mermaid 1993-2017. Powered by Blogger.